The days when your wedding entertainment “choices” were limited to band or DJ are long gone. One of the hottest trends today is expanding your wedding day entertainment to include special acts like wedding magicians and belly dancers. Since including elements of other cultures is another hot trend, belly dancers are riding these entertainment trends to become central to a lot of wedding day plans. If you’ve never been to a wedding with a belly dancer, it can be hard to imagine how you might incorporate one in your own wedding day. The most authentic way to include this trend is to have a dancer lead your entrance into the reception with a zeffa procession. This is a Middle Eastern tradition in which the belly dancer wears a candelabra on her head to symbolically light the way for the new bride and groom. Before your zeffa procession, why not have the belly dancer greet your guests during the cocktail hour? The belly dancer can entertain guests and teach dance moves while you’re taking your pictures. This will prevent both restless guests and your own feelings of guilt. Another idea is to use a belly dancer to smooth over that awkward transition time between dinner and dancing. You want all eyes on you when you have your first dance, but that’s hard to do while the waitstaff is still clearing the tables. A belly dancer can mingle effortlessly with your guests and help build excitement for the more traditional wedding dancing to come. 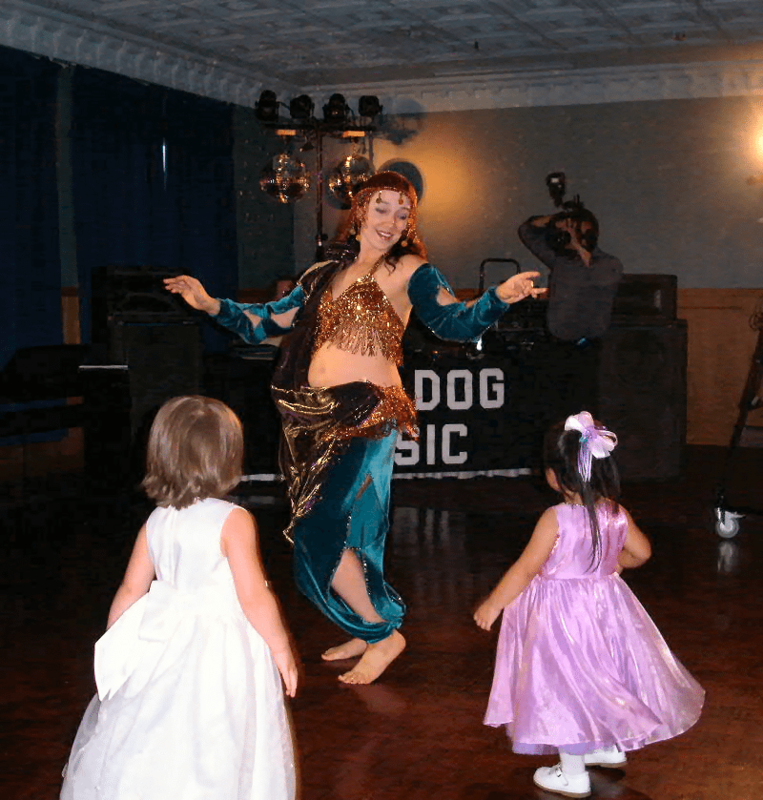 If you’re worried that a belly dancer might be too outré for some of your older or more traditional guests, you could hire a dancer for the after-party. More and more brides and grooms are planning smaller, late night parties for their closest friends and peers. At these parties guests can cut loose a little and a belly dancer might be a great way to change the vibe between the more formal wedding reception and the younger after party. If none of these seem right for you, consider belly dancing as a great way to get in shape for your wedding. Belly dancing is great exercise and stress relief, and you might even learn a few moves for your wedding day. Belly dance classes tend to be “body positive” meaning all body types are welcome and mainly female, so you can feel free to let your hair down. You can also hire a belly dancer to come to a bridal shower or bachelorette party to entertain and teach you and your bridesmaids a few dances. What do you think? Is a belly dancer right for your wedding? What other ideas do you have for unusual wedding entertainment?